Up till now I have been posting with a tactical theme whenever the idea strikes me. Increasingly, those tactical posts are getting interspersed with political comments, it just can’t be helped given the situation we find ourselves in. So, the purpose of this post is to encourage interaction and invite ideas from the readership for future tactical blog posts. Put it in a comment and I will see what topics come up and then think about writing a post on some of them. No promises! For short questions, I will try and answer in comments if possible. Granted, my books are out there and available to you so don’t expect the whole story in a blog post. But perhaps you have questions not addressed in my books, or reading them raised further questions? Perhaps I did not cover something well enough or in enough detail, or you disagree with an element of my writing that is opinion? Perhaps you want a topic expanded? Some of this tactical stuff eventually runs out of utility in written form, without a frame of reference anchored some form of practical experience When it gets to that point, I recommend getting some hands on training with a good instructor. If you want to train with me, I think I am a month or so away from starting training on the West Virginia site. I’ll put a schedule up closer to the time. I’m currently reading your book “Contact.” Let’s say that my previous career has provided me with a solid tactical foundation to build upon. Thanks for writing the book! I find it a quality augmentation to my current skills. However, where I’m struggling is the delicate part of “recruiting” like-minded individuals to participate in training without freaking them out! Any suggestions??? That’s a delicate one. Be sneaky. Your approach depends who they are and where they are at in the whole ‘waking up’ process. I would initiate it slowly. Maybe take them shooting, and make it fun. Or paintball. Airsoft. Or even just hiking or tailgating and fishing. Broach the subject of self-defense training slowly via other mediums. Even just do it for fun, like watch a movie where they do some cool stuff. Maybe HEAT with the fire and movement bank robbery scene. Then tell them that you know how to do that. If they show interest, somehow wrangle it that you take them out and do a bit of it. Get them into it that way. You can either awaken them to the need to train for tactical self defense, or do it the other way and get them into the training for fun, so they are ready without even knowing the whys and wherefores. I just lost a detailed reply to this. My apologies. Next time I will write it in word then post it. There will be a delay while I gather my thoughts again to answer this…. Take your time Max. I appreciate any attention you see fit to pay to my concerns. Thanks in advance. 1) “How do I avoid walking into a hostile element?” I covered this pretty extensively in my post about ‘lone wolf tactics’ and also in ‘Contact!’ under the patrolling sections. In simple terms move steadily on non-obvious routes, places where you would not expect others to be using. Stop and listen/observe and scan ahead. Use optics/thermal/night vision devices as appropriate and available to scan ahead over the ground you are going to move over. Be careful by not using trails or obvious ground. 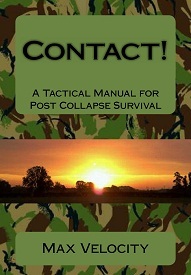 Use hard cover and concealment as best as possible (move in fold in the ground, put hard cover between you and the likely places where the enemy will be etc. Use extreme caution crossing any open areas such as linear danger areas, obstacles etc. 2) “How do I break contact without another shooter to cover my withdrawal?” If you are on your own then by definition you cannot fire and maneuver. You can’t do bounding overwatch. The best you can do is fire – move – fire – move – repeat. That is one of the arguments against being a lone wolf – the lack of mutual support. The only answer is to use initial accurate fire in the first contact to hit hard and knock them back. You then try and escape in the confusion. Use ground, hard cover, to get dirt between yourself and the enemy fire. You will then have to move back and stop every now and then to put fire down. If you can get into cover from fire and just bug out, then do so. Use smoke signal grenades if you have them to smoke off the enemy as you move back. Any break contact drill is a lottery and you can get a man down at any time, most usually if your fire is not effective or you have not suppressed all of the enemy element, which is most likely in the confusion of a break contact withdrawal. So bullets will fly and you will have to move fast and hope you don’t get hit. But conversely, if you do get out of immediate danger and into good cover, and you are a good shot, you can then do a lot of damage to the enemy if they try and follow up. The key is not to get suppressed in position by a massive weight of enemy accurate fire. So move back, get into good cover, take a shot(s) and then move again as they are reeling and dealing with their man down. 3) “How do I avoid getting sniped while I am out tending my garden (other than overwatch)?” I am sure this is a one of a preppers worst fears: sniped while moving around the property doing chores. It is a worry but mot perhaps as much as it seems. The answer of course is in the question: overwatch. If you have an observation post(s) using surveillance devices as well as regular patrols of your perimeter/land then it will be harder for a sniper to get into position. The source of the worry in the scenario is the idea of the sniper already in position with you in his crosshairs. Not to belittle the threat but you interfere with the situation before it gets to that point, disrupt the ability to get in and get a good shot onto you. It starts with location and the position of your property and any gardens you have. How hard is it to get a shot at you? Then you consider surveillance combined with patrols and making it harder for someone to stalk in undetected. How many actual skilled snipers are there? Even most hunters don’t actually stalk into position, other than climbing up to the hide or whatever. If you are the lone shooter and father figure then in the morning, after a night of people on OP duty watching out, then you can let the dogs out onto the property and head out on your first light clearance patrol. Head out in interesting and different routes. Good dogs will run with you and detect any gunmen lying in wait. Just don’t walk out on the obvious route to where he thinks he will get the shot. Walk around and through the woods, as an example. Clear the property around the perimeter. These are just suggestions without a specific property in mind that will reduce the threat and make it hard for even a patient shooter to get into position. You can also consider use of ground/vegetation and even vision screens to make it hard to get shots into your working areas. Even cloth around the deer fence that surrounds your vegetable garden will make it harder to get a shot onto you while working in there. Vision screens can be vegetation or just cloth or similar strung up on wires or fences between poles. Camouflage netting would also work. This would be useful if your property was situated in such a way that you could not cover a perimeter, or it was open to potentially hostile terrain in a certain direction. Good stuff Max. I’ll work your suggestions into my daily routine. The vision screens are very doable at my location and I’ll start searching for proper materials to accomplish that ASAP. I’m sure those of us that are “tactically challenged” must try you at times. Thank you for your patience and generosity. “I had an idea of something I’d like to see covered by one of you “in the know” blog guys and since you’re my favorite presenter I bring it to you in hopes that you might have an interest in covering it. I’d like some information on (what the US mil calls) SERE and POW. I’m thinking particularly of events at capture and immediately following. Behaviors one might apply, actions to resist, opportunities for escape. I’m recalling Andy McNab’s Bravo Two Zero– in it he alludes to certain SOPs like trying hardest to escape soon after capture as that’s when the captors are least organised.. the noose not fully tight. This type of info is great and I’d like to see it expanded on. Such a scenario would be devastating to a “family man freedom fighter”, fraught with despair and emotion. Not a time to be making decisions off the top of one’s head. Anything one can consider and train beforehand would certainly improve the outcome. OK this is an interesting one. Mountain Guerrilla has covered this topic. He has a good track record of doctrinal tactical type posts and he did one recently on SERE. 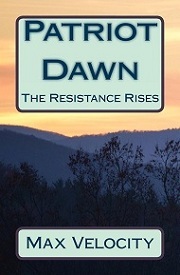 He usually puts a ‘Resistance’ twist on it so that it is not just straight from an FM: http://mountainguerrilla.wordpress.com/ – search his site for the SERE article. Of course, what you have to consider is that following procedures for escape and evasion and “resistance to interrogation’ takes on a new meaning in either a domestic Resistance scenario or one simply of lawless marauder gangs. There is no ‘sticking to the big four’. There is no Geneva Convention coming to help you with Red Cross assistance. You may or may not have time sensitive operational information that the enemy will interrogate you for. It may just be a question of survival. 2. If captured, become the gray man. 3. If there is a fight leading up to capture, once it is done stop resisting and become the gray man. 4. If you are captured as a result of a firefight, you are very likely to be killed right then. It’s a difficult time, while blood is up. 5. Escape as early as possible. The further back the chain you go, the harder escape will be. 6. Have RV points with your team/group/family to move back to if there is such a compromise/capture so there is a place to go and meet up if you escape. 7. Do not try and resist interrogation with silence. Have a cover story, something to talk about and give to them. This will hopefully reduce the beatings and keep you alive. Act it up as necessary, so it does not seem too easy for them. This will also protect time sensitive operational info on your buddies who are now escape and evading and moving to the RV point. 8. Be the gray man in captivity. Don’t fight them at every moment. Become trusted if you can, or appear a coward, so they may give you easier duties and allow you a chance to escape. How about individual and group movement, and/or E&E, in semi-desert areas such as most of the western U.S.? No tree cover, sagebrush and other low brush and cactus, 100-300 ft deep canyons and lots of micro terrain, but no deep forest or 10,000 ft mountains to hide in. I think that the answer to that is in the question itself. There is no forest or big mountains, so its micro-terrain and scrub. Whether moving as a patrol, individual or E&E as such you will have to use the micro terrain as cover and plan routes accordingly. You need to use the natural folds in the ground and/or canyons to move. Thermal will pick you up a long way off so my suggestion is using natural terrain cover along with good listening/observation stops for aircraft and drones and such. Be wary of the canyons, in particular the bigger ones, as likely ambush sites and places you can be trapped in and shot to pieces. How many Westerns have the cowboys ambushed as they ride through a canyon! Because of that I would favor the smaller micro terrain, perhaps up on the higher ground, where you can use the folds in the ground and smaller canyons/wadis to move without moving and exposing yourself in the bigger ‘thoroughfare’ type canyons. Thermal ponchos/tarps camouflaged to the terrain would be essential for stopping and patrol bases to cover you from aerial thermal surveillance – although you can use the ground for this you may find yourself exposed a lot to the big sky above and need such visual/thermal camouflage. Beware of sky lining and consider your exposure 360 degrees as you move through and over the terrain. Good info. I guess one would need to evaluate whether the most likely threat was from the air or ground. If from the ground, keeping to the high ground would make sense. If from the air, the high ground would make you look like a lighthouse to FLIR. One other question I thought of when reading Patriot Dawn: How effective would military IR camo netting be for masking warm bodies? I’m guessing it would act about the same as a screen of foliage? Hey Max, great blog, at the moment I’m reading Contact! and it looks great. But luckily we still can own handguns and shotguns. So my question is, how can someone use fire and maneuver when is extremely hard to maintain suppressive fire due weapons/ammo limitations? I just noticed my local navel reserve base got a bunch of uparmored Hummers. I have never seen anything written about how to drive military vehicles.